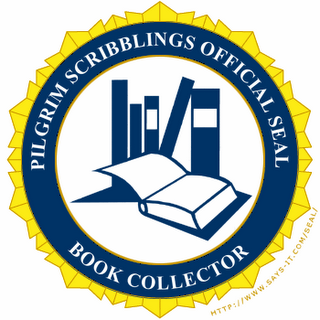 This is a re-issue of something I posted on Pilgrim Scribblings several years ago. By the way...I LOVE BOOKS! The following post appeared on Dr. Albert Mohler's blog and my heart resonated with the author as I read the article...with much joy! Here's someone who feels exactly the way I do about books! Read through and see what you think and then...please COMMENT! Jay Parini, a poet and professor of English at Middlebury College, has written an elegant essay for The Chronicle of Higher Education, noting his penchant for looking at personal libraries of friends and acquaintances. It's not only the physical aspects of books that attract me, of course. In fact, I rarely buy first or elegant editions, however much I like to glance at them; good reading copies, in hardback or a decent paperback, are just fine. But seeing some of the editions in my living room reminds me of that wonderful house in Surrey, which stirred my imagination as a young man and was part of the reason I became a writer myself. What interests me about other people's books is the nature of their collection. A personal library is an X-ray of the owner's soul. It offers keys to a particular temperament, an intellectual disposition, a way of being in the world. Even how the books are arranged on the shelves deserves notice, even reflection. There is probably no such thing as complete chaos in such arrangements. Parini, author of biographies on William Faulkner and John Steinbeck, writes of visiting libraries in the homes of authors such as Graham Greene and Anthony Powell. Of Powell's library, he writes: He lived deep in the English countryside, in Somerset, in an old stone manor on many green acres. We had tea in his sitting room, which had floor-to-ceiling shelves on every wall. There were first editions by his good friend Evelyn Waugh, and countless volumes culled from his decades as a reviewer. "I can't give a book up, if it's a book that meant something to me," he said. "I always imagine I'll go back to it one day. I rarely do, but the intention is there, and I get a warm feeling among my books." I wished I could have spent days wandering in that house, as he had books in nearly every room. Book lovers know exactly what Powell meant. We do get a warm feeling among our books. Furthermore, true bibliophiles understand the problem in the Powell house -- the books spread themselves to every room. Other people's books draw my attention, of course. They excite curiosity about their owners and the worlds they inhabit. But it's finally my own books that matter, as they tell me about where I've been, and where I hope to go. When truly read, a book becomes a part of us. That is why we are afraid to part with even the physicality of it. The book becomes an aid to memory and a deposit of thought and reflection. Its very materiality testifies that we once held it in our hands as we passed the pages before our eyes. Parini observes that libraries are mirrors into our minds and souls. The books we collect, display, and read tell the story about us. This may be especially true of Christian ministers. Books are a staple of our lives and ministries. When the Apostle Paul instructed Timothy to bring the books and the parchments, he was writing with the kind of urgency any preacher understands. To a great extent, our personal libraries betray our true identities and interests. 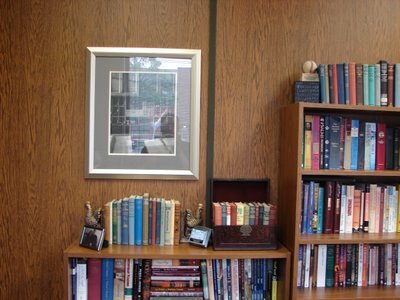 A minister's library, taken as a whole, will likely reveal a portrait of theological conviction and vision. Whose works have front place on the shelves, Martyn Lloyd-Jones or John Shelby Spong? Charles Spurgeon or Harry Emerson Fosdick? Karl Barth or Carl Henry? John MacArthur or Joel Osteen? How serious a Bible scholar is this preacher? The books will likely tell. Are the books all old or all new? If so, the reader is probably too contemporary or too antiquarian in focus. Are the books read? If so, the marginalia of an eager and intelligent mind adds value to the book. It becomes more a part of us. Is this person a Christian intellectual, feeding the mind and soul by reading? For too many pastors, the personal library announces, "I stopped reading when I graduated from seminary." When I think of my closest friends, I realize that I am most at home with them in their libraries, and they are most at home with me in mine. Why? Because the books invite and represent the kind of conversation and sharing of heart, soul, and mind that drew us together in the first place. By their books we shall know them. And by our books we shall be known. Presently I'm reading several biographies at the same time. I've picked up other biographies and autobiographies in the last week and perused them for some information. Based on the following books...WHO AM I? Go ahead...tell me...who am I? Note: I've posted the picture at the top of this article before. It's just one small corner of my library at my office in Peterborough. I have about 1,000 books there and about 2,000 plus in my library at home. Another note: Don't even think about throwing out any old, unwanted Christian books. I'll pay the postage if you send them my way. Carol might kill me but then someone else could inherit my library. Nothing Should Be "Beneath Us"